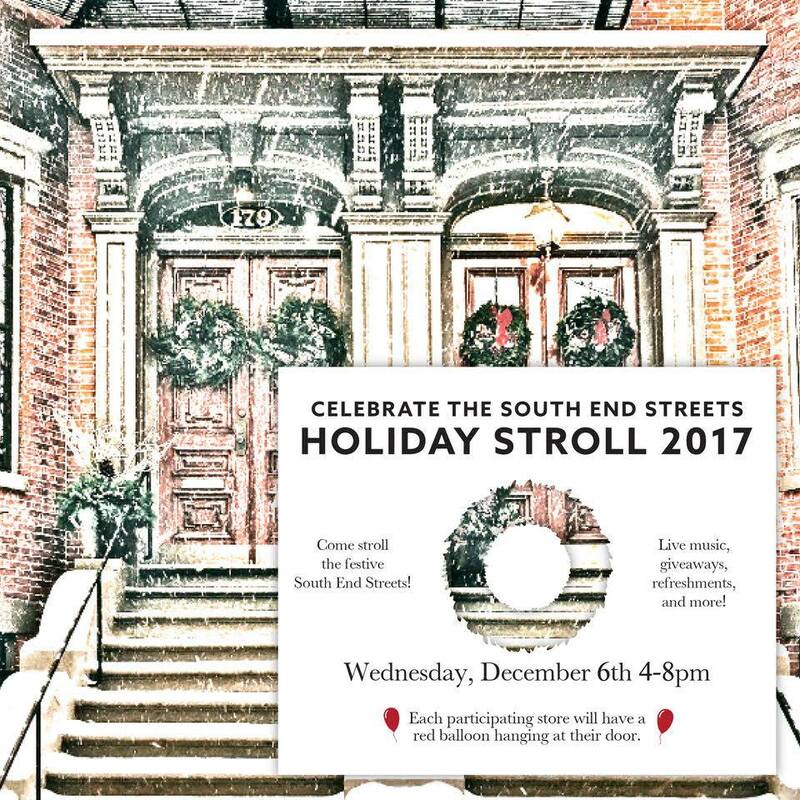 Come stroll the festive South End Streets! There will be live music, giveaways, refreshments, and more! - Walden Local Meat Co.
Each participating business will have a red balloon hanging at their door. Free parking will be available at 560 Harrison Ave.